Much debris has been removed, but more remains. NOAA needs assistance in identifying its location, and you can help. All it takes is an Android or iPhone and an interest in cleaning up our waterways! If you spot large debris items that Sandy left behind, either while participating in organized cleanups or during the course of your normal beach-going activities, please let us know through the Marine Debris Tracker. The information will be used to assist any future planning efforts. See the complete blog post with details on what to tell NOAA about here. We are glad that Marine Debris Tracker can provide the tool they need at this time. The NOAA Marine Debris Program and the NOAA Restoration Center have just announced their national FY14 Community-based Marine Debris Removal Funding Opportunity. Full Funding Opportunity available online here. Summary: NOAA is interested in improving marine and coastal habitat through on-the-ground removal of marine debris. Marine debris is defined as “any persistent solid material that is manufactured or processed and directly or indirectly, intentionally or unintentionally, disposed of or abandoned into the marine environment or the Great Lakes” (15 CFR Part 909). The highest program priorities for this solicitation are the removal of derelict fishing gear and the removal of medium- to large-scale marine debris that have a negative impact on important habitat areas and projects that benefit NOAA trust resources. Projects should benefit living resources and their habitats, including commercial and recreational fishery resources, coastal habitats, and/or endangered or threatened aquatic species. NOAA trust resources can also include marine habitats and resources associated with National Marine Sanctuaries, National Estuarine Research Reserves, and areas under state coastal management programs. Funding: Up to $2,000,000 is expected to be available for this nationwide competition in Fiscal Year 2014. Typical awards will range from $50,000 to $150,000. For questions, please contact Tom Barry (Tom.Barry@noaa.gov) or Jason Rolfe (Jason.Rolfe@noaa.gov). Those interested in potential SEA-MDI collaboration can contact Jenna Jambeck or other consortium members. We recently went to Jekyll Island to meet with our Georgia Sea Turtle Center Marine Debris Initiative partner, Jeannie Miller, and attend the Green Screen event put on by EcoFest Film Fesitval, Georgia Sea Grant (partners Jill Gamble and Lisa Liguori) and Jekyll Island (partner Ben Carswell). It was an outstanding event bringing together many people. 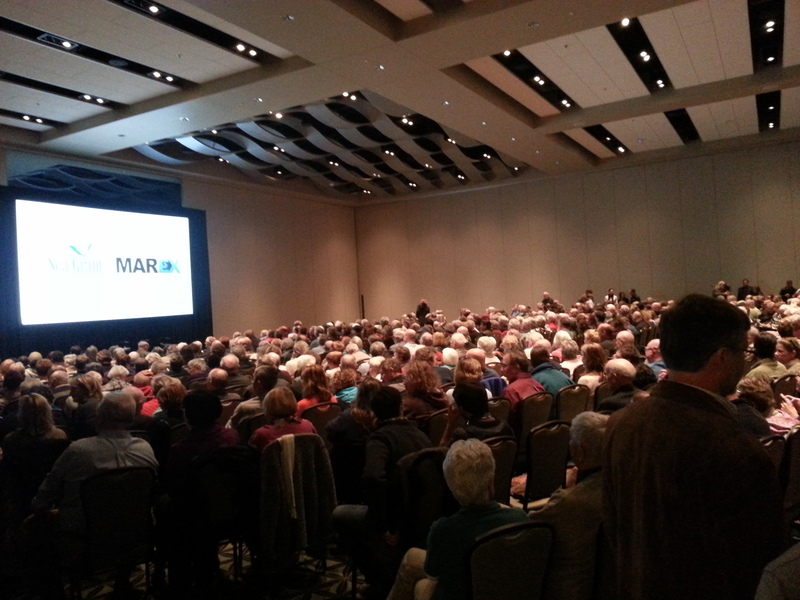 The event was free and open to the public, so an estimated 800 people attended. 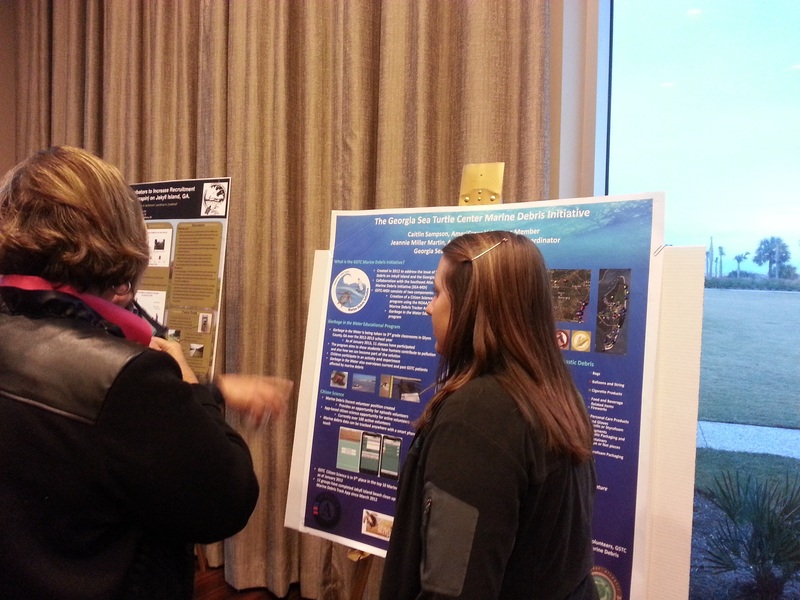 SEA-MDI undergraduate assistant, Abby Stern, helped to make the two posters we presented. 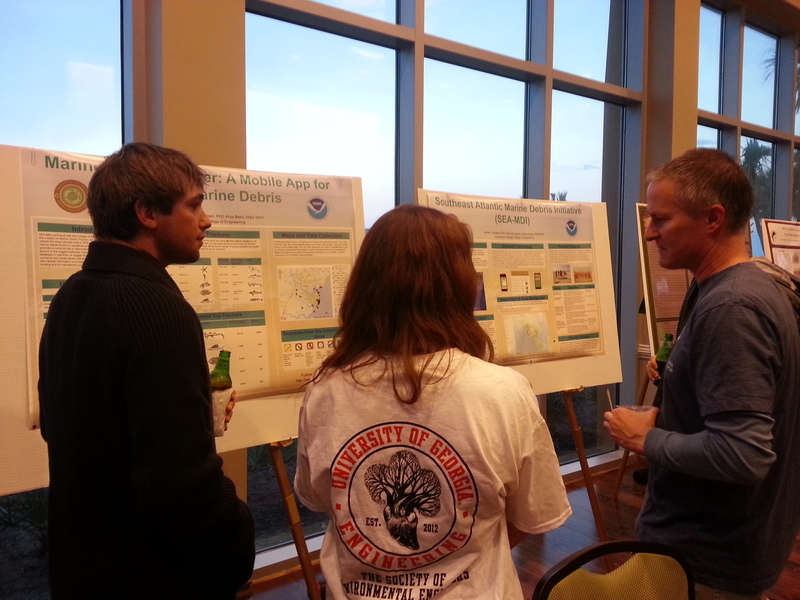 At the poster session and reception, we were able to talk to the attendees about the Southeast Atlantic Marine Debris Initiative and our useful mobile app to map marine debris, Marine Debris Tracker. 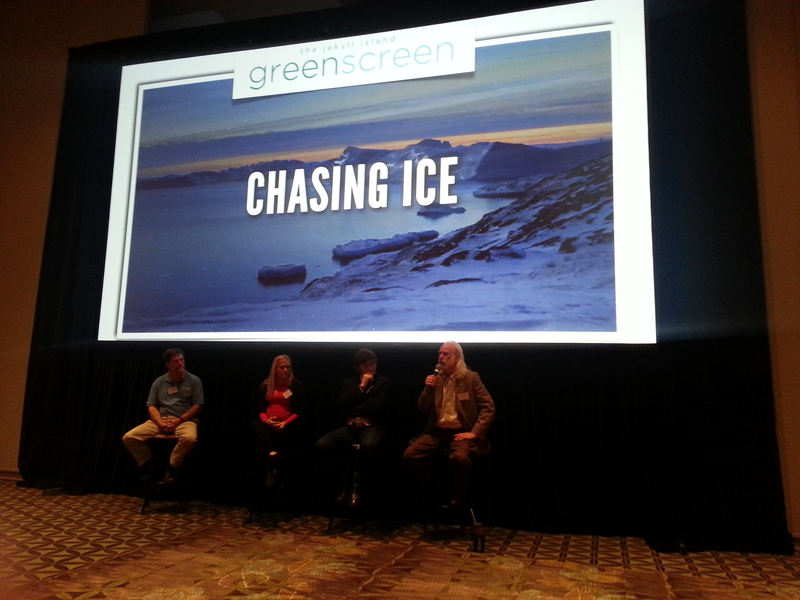 Then we all went in to watch the outstanding movie, Chasing Ice. The movie was followed by an excellent panel and dialog. It was a very productive event for SEA-MDI and some of our partners. The mobility of marine and land debris has created a global problem that has local solutions. The Georgia Sea Turtle Center (GSTC) Marine Debris Citizen Science program was created in 2012 and is funded by the Southeast Atlantic Marine Debris Initiative which is part of the NOAA Marine Debris program. 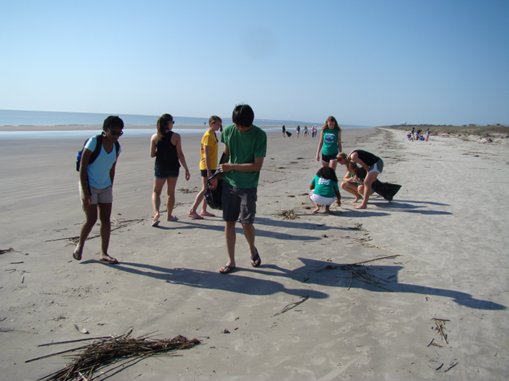 Marine Debris Citizen Science participants keep Jekyll Island’s beaches free of marine debris. They help protect sea turtle and shorebird nesting habitats by collecting and bagging debris along stretches of beach. 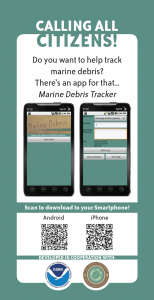 They also record where, when, what and how much debris is picked up using the Marine Debris Tracker application. While on the beach, Marine Debris Citizen Science participants will also have an opportunity to interpret and educate visitors to the coastal area about sea turtle biology and beach ecology. Check out our Marine Debris Initiative for more information as well as an overview of opportunities available. 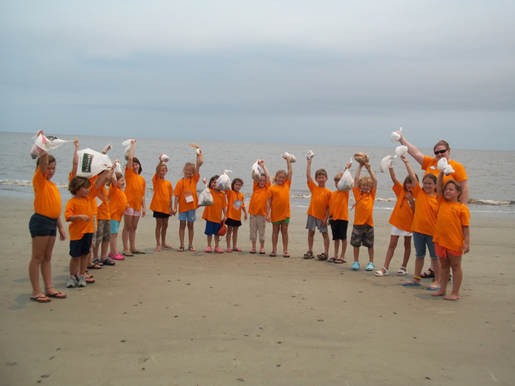 If you are interested in our Marine Debris Initiative, please contact us at gstcvolunteer@jekyllisland.com. We love to see citizens incorporated into this art project using marine debris and it is exciting to see how one of the SEA-MDI projects is expanding! Here is the update, courtesy of Amber Von Harten of SC Sea Grant. 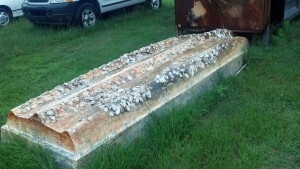 Through a partnership with Beaufort County Public Works, the SEA-MDI sponsored Clean Marine Beaufort project , organized by the S.C. Sea Grant Consortium, removed their first recreational boat from the marshes of Beaufort County, SC. 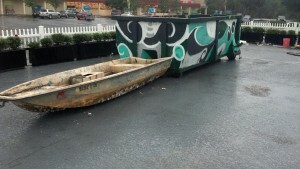 Funds from the SEA-MDI project will support the disposal of the boat. 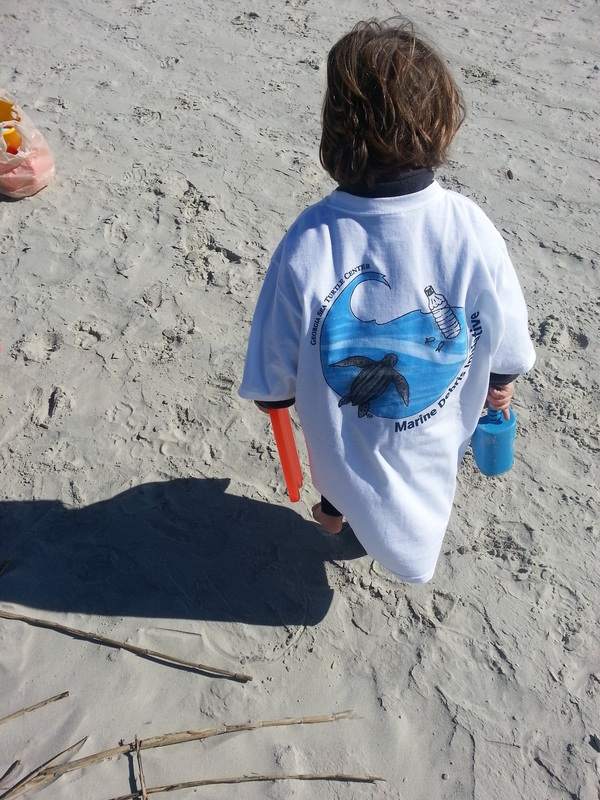 The Clean Marine Beaufort project partners are also heading up another project linking marine debris outreach and celebrating our worlds oceans through World Oceans Day Beaufort, SC, a month long celebration in June. Part of this project is to use art as a conduit to get a message put to the community about the impacts of marine debris on the oceans. The art project, in partnership with the Beaufort County Arts Council and ARTworks, will support bringing in a local artist to create a large marine debris sculpture called “Locomocean.” The sculpture will use a waste container, courtesy of Waste Management, as the base for the sculpture and the community will bring the artist pieces of marine debris or recyclables to build into the art piece. Additionally, the recreational boat removed with support from Clean Marine Beaufort will be used in the sculpture as well before disposal. The artist is holding two community art workshops to work with the community on building the sculpture on June 2 and 9 and the sculpture will be finished and revealed at the World Oceans Day Beaufort Festival on June 16 in Beaufort. An article was written in the Island Packet about the project. 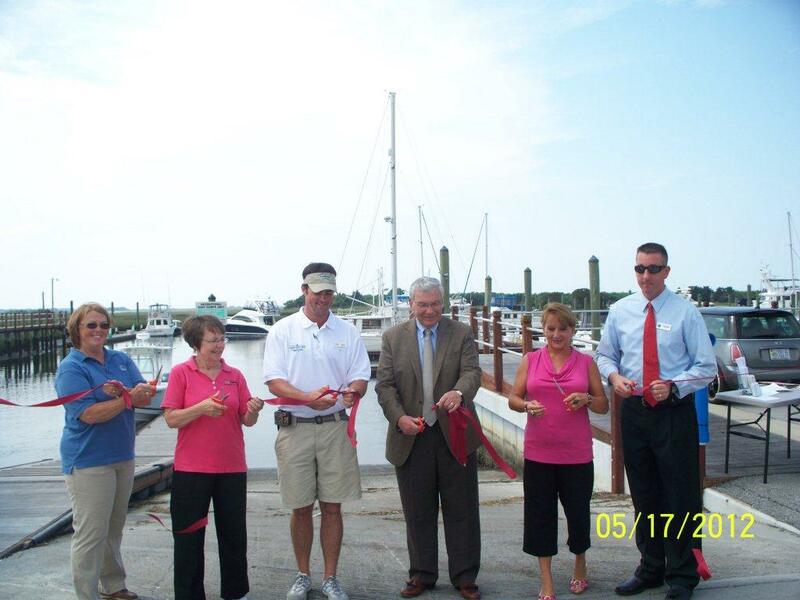 SEA-MDI is excited to fund the following marine debris projects in NC, GA and SC. The projects began March 1, 2012 and will go through February 28, 2013. And there will be one more opportunity for funding, so keep watching for future announcements.